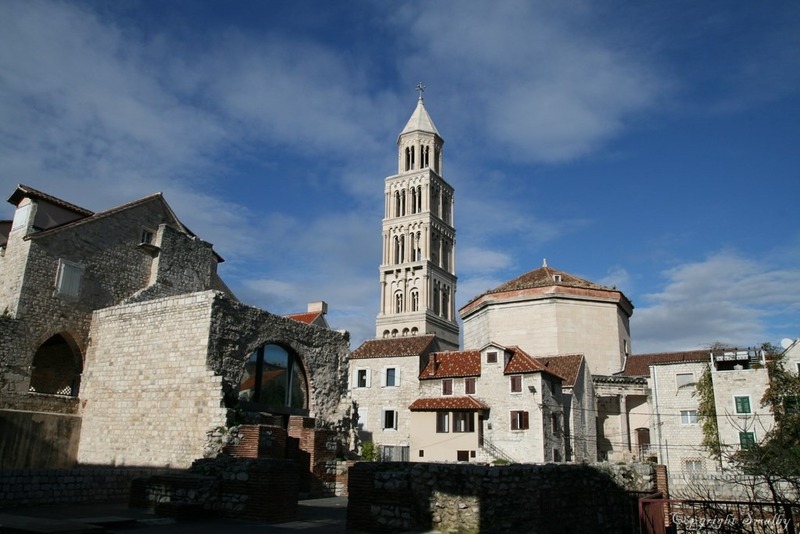 As the city of Split is the center-point of whole Dalmatia, Split really is an excellent base for taking one day trips. It is well connected with the southern and the northern part of Dalmatia, as well as the islands, so Split is also a great starting point for a round trip Croatia. Here is an example of an one-week round trip from Split to the islands and South Dalmatia (by public transportation). Split with an overnight stay: Split should be your choice for day one of the round trip Dalmatia. 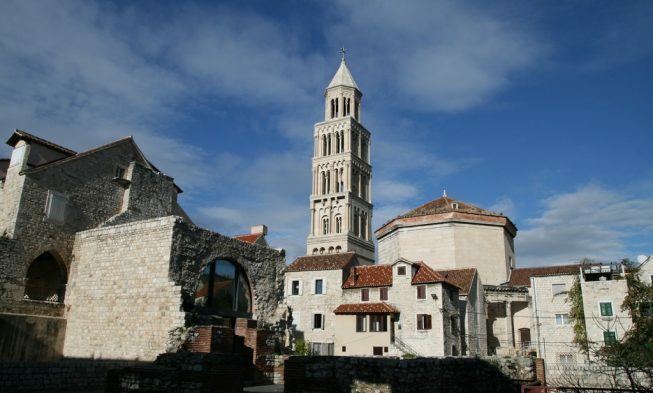 Split is the largest city in Dalmatia and it is also a historic place, with Diocletian Palace as the city highlight. You can join one of the walking tours around the old town or to do a self-guided tour. Don’t forget to have a coffee on the main promenade, Riva and enjoy the view. There are more must-do things in Split so check it out. Brac with an overnight stay: Brac is the longest Dalmatian island and it is world famous for the beach called Zlatni Rat. Brac provides an authentic experience of the island life so while you are here, you can travel around the island and visit small picturesque places like Pucisca, Sumartin, Milna etc. Food here is a must-try, especially olive oil and vitalac- a dish prepared with lamb. The island is only 50 minutes away with a ferry and there quite a few ferry lines connecting Split and Supetar, especially in the summer season. Hvar with an overnight stay: The Queen of the islands, as Hvar is often mentioned, is one of the most popular tourist destinations in Dalmatia. It is also the sunniest island in the country so spend the day on one of the beautiful beaches with crystal clear sea or driving across the island through lavender fields, olive groves and vineyards. There are several boat transportation from Bol or Milna to Hvar island if you are traveling from early April to late October. 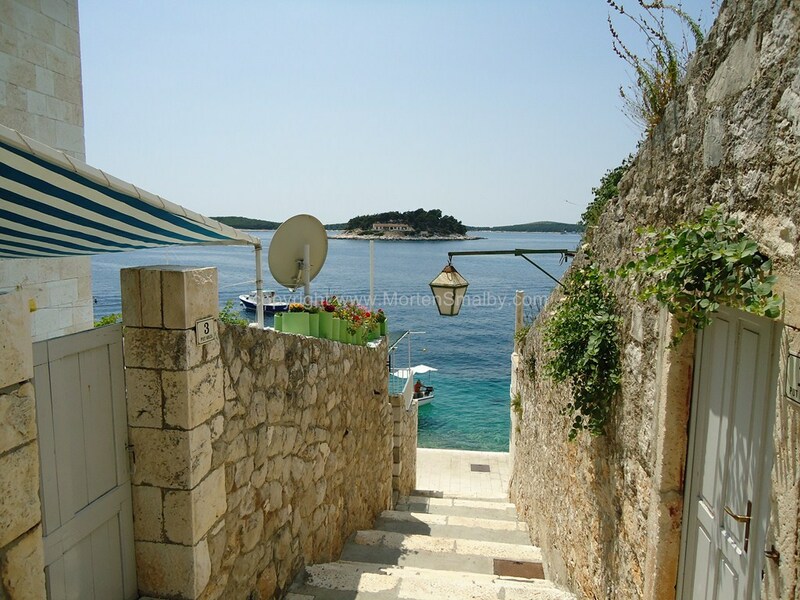 Here you have more information about Hvar. Drvenik with an overnight stay: There are frequent ferry lines from Sucuraj on Hvar to Drvenik; the trip takes about 35 minutes. Drvenik is a place on Makarska Riviera where you can spend a day relaxing on one of the magnificent beaches. There are plenty of hidden and private beaches where you can enjoy. As an alternative to Drvenik, you can choose to stay in Makarska, Brela or Baska Voda which are easily reachable by bus. Dubrovnik with two overnight stays: Dubrovnik is probably the most popular place on our one-week round trip and also the most popular tourist destination in Croatia . It is a stunning city with amazing Old Town that is a Unesco World Heritage Site. You can spend the first day of your visit sightseeing and the second day relaxing on one of the beaches in Dubrovnik. Here you have more information about Dubrovnik. There are several bus departures from Drvenik to Dubrovnik and the trip lasts approximately 1 hour and 50 minutes, depending on traffic conditions. Split: return to Split by bus; there are frequent bus departures from Drubrovnik to Split; travelling time is approximately 4 hours. The prices vary depending on where you choose to spend the night. An overnight stay in an appartement is approximately 200-300 kn per person while in a hotel 300 kn and up. A total cost would be around 2150 kn (300 €) for one person not including food and transport when visiting several places on the islands. – which option you would recommend? 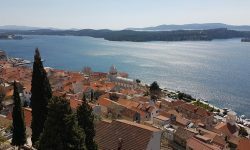 – how dificult it is to travel to the islands on the Dalmatian coast in May? – whether there is an iternary that you would recommend? In May you should be able to do Island hopping to both Korcula and Island Hvar when you travel from Split to Dubrovnik or Visa versa. From Dubrovnik you can visit Mljet and some of the other small islands as day / half day trip. From Split you can visit, Island Brac, Trogir, Krka National park and several other places. So buttom line, regardless weather you fly into Dubrovnik or to Split, you basically have the same options. Thank you for your advice and for your prompt response. Hoping you can help me.Have booked a weekin split in july/august and then accommodation on Korcula for a week.Will get the car ferry from split to Korcula but problem is getting back to split airport for flight around 5pm.Ferry back to split is 6am which gives us a very early start from Lombarda and therefore a miserable last day with 2 tired kids.Wondered about getting ferry to orebic and then driving back to split but not sure about getting to the motorway.Do we need a visa to travel through the bosnia bit and is it going to be too long a journey? From Korcula it will take you some hours to get to Split by Car i think about 4 hours. As far as i know no Visa is necessary as you are just “transitting” bosnia, with no option to enter further into the country from the coastal road. I was hoping you could help me with an itinerary. My family of four (includes two teenagers) is spending 6 nights and days in Croatia – flying into Split and out of Dubrovnik. I was planning for us to spend the last three nights in Dubrovnik but I am torn about about the first three nights – whether we should stay in Split for all three and take day trips to the islands or should we spend each night on a different island? With only have three days in that area, which islands would you recommend? Also just wondering if it’s a pain to haul our luggage everyday with us. Any ideas you have would be great! well basically you could stay in Split for the 3 days, from Split you then have option to take daytrip to Trogir, Island Hvar and other places. Other options is that you stay one night in Split, the travel from there to Hvar and stay one night, and then from Hvar to Korcula. 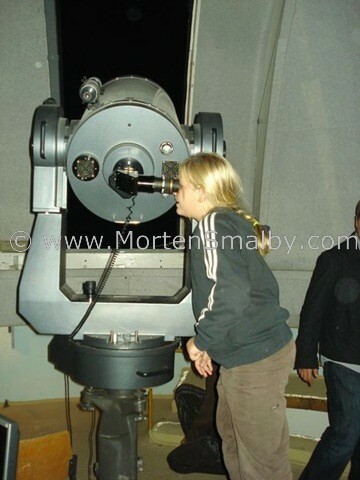 HI Morten, your website has some great advice on it which I thank you for sharing. We have a bit of challenging question. We’re travelling to and from Split for a 2 week holiday in July/August and would like to travel around Split (day trips) and also see Dubrovnik (and anything else worth seeing in between). The extra challenge comes because we (2 adults and 17 years old) will be joined by our 20 year old (also flying into Split) for the second week. Do you have any advice about ‘mixing’ the whole trip up so that we all get to do a bit of travelling? Many thanks in advance. 1. From Split to Hvar, the summer catamaran schedule is not out yet, but last couple of years it used to be possible to go there in the morning and then return in the afternoon. 3. From Split to National park Krka, from Split is takes about 1 hour 30 minutes with public bus to Skradin, which is one of the entrances to the national park, if you go by car it takes you about 1 hour to drive there. 5. From Split to Trogir, my favorite is to take the Bura line, which is a one hour sailing trip, alternative is 30 minutes by bus. Other popular places you can visit one a day trip is Zadar, Sibenik and Plitvice lakes.